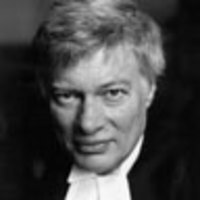 The government’s underhanded sacking of a chief justice is set to go unpunished—unless the international community acts to send a message, says Geoffrey Robertson. The U.S. administration has put the case of Sri Lanka on the agenda of the United Nations’ Human Rights Council this month, demanding some accountability from the government of Mahinda Rajapaksa for the Army’s slaughter of some 40,000 Tamil civilians. Now the regime has added fuel to its human rights bonfire by sacking its chief justice, in defiance of all rules about judicial independence, in revenge for her ruling that a decision about legislation increasing its powers (especially over Tamils) was unconstitutional. Sri Lanka’s contempt for the rule of law is looming as a disaster for the Commonwealth (formerly “the British Commonwealth”), a group of 54 democratic nations headed by the British queen. It has suspended Robert Mugabe’s Zimbabwe and the military dictatorship in Fiji, but acting against Sri Lanka is becoming a diplomatic nightmare. That is because the high point of this year’s Commonwealth calendar, its November Commonwealth Heads of Government Meeting (CHOGM) is scheduled for Colombo, where it will provide a propaganda bonanza for its host, President Rajapaksa. The British government is considering whether to allow the queen to attend, while Canada wants to switch the venue to the exemplary democracy of Mauritius. Why did Sri Lanka add to its human rights problem by destroying the independence of its judiciary? “Impeachment” is an arcane process whereby Parliament tries the misconduct charges and requests the head of state to remove a guilty jurist. Normally the judge will first have been convicted of a crime by the courts and will be impeached on the basis of that finding, which would have been reached by an independent and impartial tribunal. But the principle of judicial independence requires that no judge should be impeached for doing his or her duty merely because the decision has upset the government. That is exactly what the Rajapaksa government has done in the case of Bandaranayake. Three of the charges accused her of misinterpreting the Constitution. But it is a judge’s job to interpret the Constitution, and she gave it a purposive construction with which most judges—in America, the U.K., and elsewhere—would have agreed. Indeed, with two colleagues who joined in her judgment she interpreted the meaning of a key word in the Constitution by looking it up in the Oxford English Dictionary—a familiar source of linguistic enlightenment in courts throughout the English-speaking world. But not for these 117 M.P.s, who claimed to know more about constitutional law than a judge who had delivered more than 300 decisions on this subject since her appointment to the bench in 1998. If politicians assume the power to sack a respected judge, they must at least afford her a fair trial. So to whom did the speaker, Rajapaksa’s elder brother, entrust this task? To a “Star Chamber” of seven government ministers, two of whom had been personally involved in cases where she had ruled against them. It sat in secret, refusing the chief justice’s request to admit the public and even refusing to have international observers. It declined to be bound by any rules about the prosecution bearing the burden of proof, and it gave her no time to prepare any defense—she was presented with 1,000 pages of evidence and told to be ready for a trial that would start the following day. The tribunal chairman told her expressly that they would allow no witnesses, whereupon she and her counsel walked out, despairing of any fair trial. The next day, in her absence and without notice to her, they called 16 witnesses, whom she could not in consequence cross-examine. The result was a foregone conclusion. She was found “guilty” on three charges of misconduct on evidence that could not stand up in any real court and could not in any event amount to “misconduct” under any sensible definition of that term. For example, the fact that her bank had addressed her as “chief justice” on her bank statements was regarded as an abuse of office justifying her removal. Because her husband had been summonsed to attend a magistrates’ court, this was sexistly said to be “misconduct” on her part although she had not conducted herself at all. The Supreme Court quashed the findings of guilt, but the president refused to obey their orders. The pro-Rajapaksa majority in Parliament duly asked the president to sack her, which he immediately did, appointing the government legal adviser, who had no judicial experience, as chief justice in her place. Her impeachment was celebrated by a fireworks display from the Sri Lankan Navy, and by entertainment, feasting, and fireworks supplied by the government to a crowd surrounding her home. Perhaps the nastiest aspect of the impeachment was the government’s tactic of busing in demonstrators with placards abusing the chief justice and encouraging the state media to join in the witch hunt. Sri Lanka’s judges and magistrates have formally protested, and its lawyers have held candlelight processions to lament the “darkness that has descended” over the rule of law. Will the queen travel to Sri Lanka to give the Rajapaksa regime the royal seal of approval? She is part of the Commonwealth’s problem: as an inoffensive ceremonial personage, she cannot provide any real leadership for an organization of 54 disparate nations. The position is not hereditary, and many want her to follow the pope’s lead and retire, so she could be replaced by humanitarian campaigner (and wife of Nelson Mandela) Graça Machel (or, after 2016, by an inspiring world leader eligible through his Kenyan paternity, namely Barack Obama). At present, without direction or any human rights purpose, the organization is adrift. Indeed, when some of its governments criticized Sri Lanka at the U.N., that country’s ambassador replied, “What is the value of the Commonwealth?” If CHOGM goes ahead at Colombo, the answer is very little. Meanwhile, what can be done about the 117 Sri Lankan M.P.s who brought false and fabricated charges against a judge for doing her duty and the seven government ministers who tried her so unfairly? There is a new tool available to name and shame those who share some responsibility for human rights abuses—the “train drivers to Auschwitz,” so to speak—without whose participation such events would not be possible. It is the Magnitsky Act, called after the law passed by the U.S. Congress last December, to identify and impose restrictions on Russians whose actions may have contributed to the death in Moscow of a whistleblowing lawyer. As applied to the Sri Lankan politicians, it would operate to deny them entry visas and freeze any bank accounts they hold in this country. The Magnitsky Act got under the skin of Russian President Vladimir Putin so much that he stopped Americans from adopting Russian orphans. It is a means of naming, shaming, and causing a little pain to those complicit in human rights abuses who have some American interests. If the Commonwealth and the U.N. will not hold President Rajapaksa’s politicians and generals to account, Congress might step up to the plate.